Myriad studies have shown that having an animal companion in your life is just plain good for you. Blood pressure is lowered, loneliness is diminished, psychological stress is reduced, social interactions and communication are enhanced, exercise may increase, and so on. Physical, emotional, cognitive, and psychosocial benefits to animal interaction abound, as the following examples show. As baby boomers age and become increasingly isolated senior citizens, cherished pets may be the only constant companions of the elderly. Many assisted living establishments, nursing homes and hospice centers recognize the benefits of human-animal interactions and allow their residents regular visits from therapy animals and/or let them keep pets of their own. 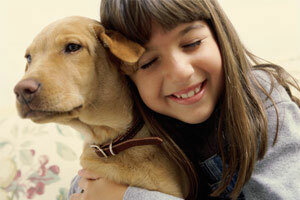 Having a pet often adds years to a person’s life, as well as increases the quality of those remaining years. Then there are those who are childless (whether by choice or happenstance) for whom a pet may literally feel like a surrogate child. Animals are wonderful at giving and receiving unconditional love and can readily fill any such void in a human being’s life. Autistic children frequently find a means of communication with animals that they sorely lack in their interpersonal interactions. Still other children enhance their literacy and confidence by reading aloud to a trained service dog. This is achieved when their inhibitions are lowered because they are paid close attention to, yet do not feel judged or pressured by the animal. Animals can make people better human beings. Time magazine recently ran “Puppies Behind Bars,” a story of how prisoners who participate in a program to raise and train puppies to become bomb-sniffing dogs and/or work with disabled vets and the elderly find a way to become more human through their interactions with a dog. Once seen as irredeemably antisocial, these inmates developed empathy for other living creatures and saw profound gains in their own rehabilitation and sense of self worth. If animals play such important roles in our lives, why then is it assumed by so many in our society that the human-animal bond is not worthy of grief when a pet dies? In my role as an animal chaplain, I work with human beings who are trying to process the pain of losing a pet. I consistently hear people say they feel foolish, guilty, embarrassed, crazy, etc. for the intensity of their sorrow when one of their pets dies. This is surely because they are using a faulty societal filter through which to view their emotions. They judge themselves preemptively, before others have a chance to do so. They are acutely aware that people will readily give them permission to mourn the passing of Great Aunt Tillie, whom they haven’t seen since they were six, simply by virtue of her being of the species homo sapiens, but those same people will just as readily scoff at tears for nonhuman friends. Expecting to hear things like “Get over it already. It was just a dog!” or “Are you still crying about that cat? It’s been two days!” it’s not surprising that grieving animal lovers hide from others what they feel will be perceived as a weakness or defect in their personalities. They also encounter what I’ve termed “Loss Snobbery.” This is when someone believes his or her pain is more profound and/or legitimate than another person’s and concludes that this gives him or her the right to dismiss anyone else’s suffering as inconsequential. I can’t help but wonder what makes this person feel threatened by any sorrow another person feels toward his or her individual loss. Does she imagine there is a point-scale assigned to grieving? Does she earn the top points because she lost a child, or could I pull ahead by virtue of the sheer volume of “less-important” losses I’ve faced over the course of five years? Namely, my mother, stepfather, uncle, dog, two cats, a cockatiel, and fifteen-year marriage. I certainly do not mean to make light of her devastating loss. I merely wish to point out how counterproductive it is to compare one pain to another and judge one as worthy and the other as frivolous. 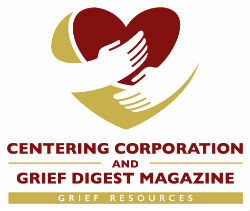 Grief is not a competitive sport. You can’t “win” by saying you hurt more than someone else. For example, one person’s weeping for a beloved pet they must have euthanized in no way diminishes the bereaved mother’s right to feel her own anguish. There is no existential bank containing a finite amount of love or grief allotted to all of humanity from which anyone else’s feelings of sorrow will make an undue withdrawal. Consider a shut-in senior citizen who likely has seen the passing of many lifelong human friends and family members, leaving her depressed and lonely. If a pet is the only being available to share her daily existence, losing that animal may represent to her just as profound a loss in her world as would someone losing a spouse or close relative. The simple fact is her dearest companion is gone, and she is now denied a vital sense of connection and reciprocal love. No one has the right to judge her for feeling acute pain just because they have not experienced such a bond to an animal. What can a grieving animal lover do when he or she encounters such judgment over the loss of a pet? First, it is vital to remember that when people spout cruel things out of ignorance and thoughtlessness, it speaks volumes about them and really has no bearing on us or what we are experiencing. Those unfortunate people have not been blessed enough to have had a deeply loving bond with an animal. They are to be viewed with sympathy rather than hostility for what they’ve lacked. Never engage in an argument with such people. You simply cannot change another person’s mind if he or she is unwilling to see things from any viewpoint other than their own. Avoid those who you know will cause you strife, especially during the most intense, early stages of your grieving process. Instead, seek the understanding of like-minded people among your friends, family or support groups. Check with your local animal shelter or go online to a pet loss support site such as ChancesSpot.org. These are great places to start to connect with others who understand the pain of pet loss and who will help you heal in a nonjudgmental atmosphere. Supplement these encounters with books about pet loss that provide guidance, affirmation and hope. Finally, view yourself as your beloved companions did and/or do: as infinitely lovable and deserving of comfort, despite any unsympathetic human’s opinion to the contrary. Surprisingly, it takes enormous courage to show ourselves love and compassion, but we honor the lessons our pets strove to teach us about our inherent worth if we at least make the attempt. Sid Korpi is an animal chaplain and author of Good Grief: Finding Peace After Pet Loss, winner of the Independent Publishers Book Award, pet category, (visit: www.goodgriefpetloss.com. She has combined her decades of varied professional experience as an editor, writer, journalist, English teacher, actor and ordained minister/animal chaplain, with her lifelong devotion to the animal companions who have blessed and shared her life. Surviving a “tsunami of loss” in her own life led to her discovery of spiritual truths that brought her strength and facilitated her heart’s healing. She felt compelled to share these things with others who suffer, often in isolation, from the passing on of their very dearest nonhuman friends, their pets. Sid lives in Minneapolis, Minnesota, with her husband Anthony Kaczor and their six animal friends/family members: Blanche, Keely and Ambrose (Westies); Giles and Xander (cats); and Atticus and Scout (finches).